Workers World Party is holding its national conference at the Shabazz Center in New York City on the Nov. 7-8 weekend. We spoke with Teresa Gutierrez, Scott Williams and Monica Moorehead — some of the conference agenda organizers — to see what WWP has planned for this annual event. First, they extended a welcome to the hundreds of members, candidate members, allies and interested friends who are coming from all over the United States to attend the conference. They say the growing resistance to deepening economic inequality, and especially to racist police attacks, has awakened not only struggle in the streets but a desire to understand what is behind the growing crisis of the capitalist system. 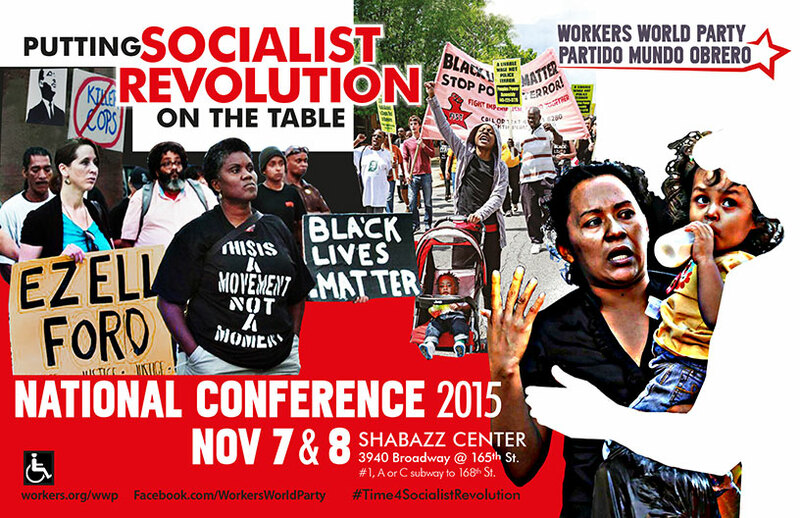 The main theme of the conference is “Putting Socialist Revolution on the Table.” The opening session — at 9 a.m. on Saturday, Nov. 7 — directly addresses that topic. It should offer a real alternative for any worker, oppressed person or activist wanting to combat the institutionalized racism, poverty and war that is plaguing the globe. What will be discussed is nothing like the kinds of “solutions” offered by the candidates of the big business parties, be they Democrats or Republicans. The second plenary panel gets right into what WWP can do to build solidarity with some of the major struggles going on in the United States and in the world. It is called “Building Worldwide Solidarity with Black Lives Matter and Migrants” and will begin after the first panel ends. Following this, a special announcement will be made about WWP’s intervention in the 2016 national elections. This is followed by a third plenary session called “Capitalism at a Dead End: The Decline and Dangers of Imperialism.” From the end of World War II to 2007, the capitalist class of ruthless billionaire bankers and corporate bosses counted on the boom part of the business cycle to rescue their system from the bust crisis of overproduction. Those days are over, for reasons to be discussed. 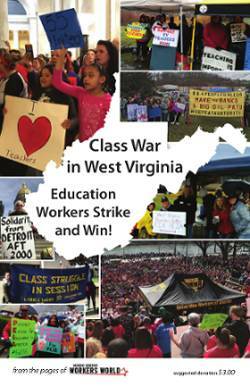 During Saturday dinner, youth and student organizers will discuss the Million Student March, nationally coordinated actions scheduled for Nov. 12. A social event is scheduled for Saturday evening. The conference resumes on Sunday morning at 9:30 a.m.
With the election year coming up, it is no surprise that the fifth plenary panel, “Marxist Ideology, the Elections and Socialism,” will not only review the reactionary impact of the campaigns waged by the capitalist party candidates, but will consider WWP putting forward its own program through the elections. The closing plenary panel on Sunday, set to end at 2 p.m., features a summation of the conference given by Larry Holmes, WWP First Secretary, and the singing of the Internationale by all conference participants.